Our products are classified in four performance categories each combining different fabrics, technologies and paneling designs. All products are manufactured using the same highest quality processes and are offered at different pricing levels based primarily on the technological advancements of the used fabrics. NANO+ PRO – race fitting products from this category are available only for custom orders used also by our Pro riders. 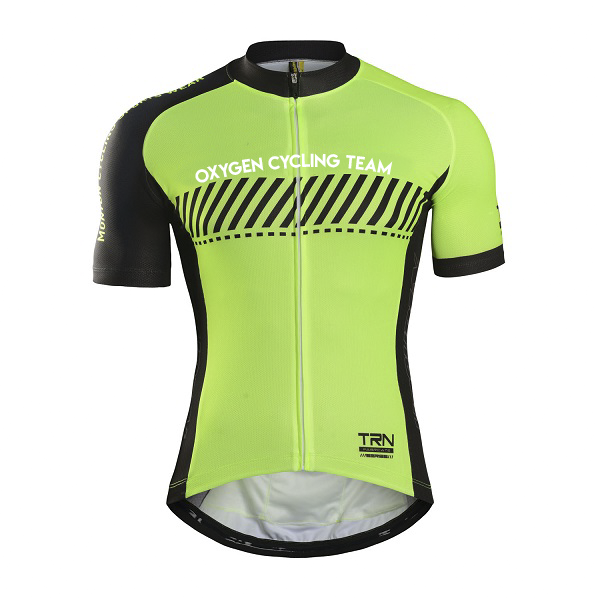 Every year, we introduce the latest technology fabrics to the custom cycling apparel service. Recently, we adapted the anti-UV Italy M.I.T.I fabric as our highest level cycling jersey fabric. It is only 110 GSM, super breathable and is ultra-comfortable. M.I.T.I is 100% POLYESTER, known as the most lightweight, breathable and quick-dry fabric for the Pros. With excellent UV protection, odor and bacterial resistant features, it is the optimal choice for professional and amateur racers. PRO Plus leg and arm bands are made of Italian M.I.T.I EB1. For the custom bib shorts chamois we are currently offering latest innovation from Italian company Teo Sport – TM Armadillo. This revolutionary new chamois facilitates the movements of torsion, inclination and compression-extension for the athlete during racing. NANO PRO – race fitting products from this category are designed for individual racers and cyclist seeking high performance attire. Primary fabrics, Italianism prismatic and micro-vent, used in this category are characterized by their excellent breathability, light weight, and superior moisture wicking performance and include same as PRO Plus EB1 and Italy soft elastic leg and arm bands. PRO level bib shorts utilize multi-layer EVO punching chamois. NANO EVO – snug fitting line intended for passionate cyclists. Apparel in this category uses athletic fabrics specially made for cycling industry. A153 Poly-Matte Jonastin, A109 Grid Jacquard and Hex-Mesh are breathable and moisture wicking and weight from 150 to 200 GSM. Compound fabric of Jacquard mesh and Jacquard Lycra, double-layer arm band, EB1 leg bands and multi-layer EVO chamois are used throughout the line. NANO PERF – relaxed fit stylish cycling apparel. This line uses our proven athletic fabrics which require less stretch due to their intended fit. The fabrics are more economical making the PERF line the most affordable. They provide adequate breathability, are very durable and are intended for recreational cyclists seeking a more loose fit attire. Teo Sport TM Armadillo - used in the PRO Plus line the TM Armadillo pad insert foam is made with a special pressed line system, designed and created in various levels and heights. It is able to guarantee and facilitate the movements of torsion, inclination and compression-extension for the athlete during racing. The insert Armadillo combined with TMirror Technology, supported by the shape of the lunettes with the HT90 system and tested by a wide range of athletes, allows Teo Sport to propose a revolutionary new solution. O2 Apparel 2017 EVO Punching Pad - used in the PRO line the sewing punching pad in made of brushed polyamide fabric with excellent wicking and anti-bacterial properties. The first layer, punching foam, increases breathability. Deeper, high quality 80G/M2 dense foam with 10mm thickness ensures maximum comfort for competition while maintaining top level performance. 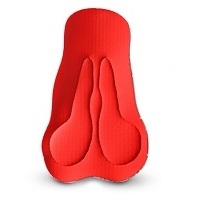 EVO Punching Pad comes in two varieties: men's and women's and either in red or blue.